Good morning and thank you for having me here today to speak on behalf of the entire FDA. 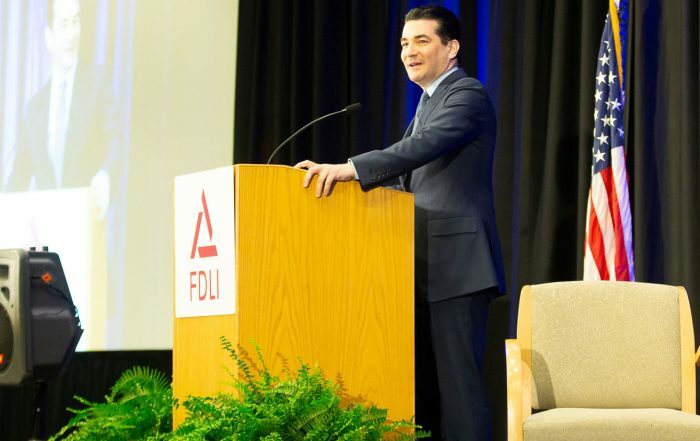 Each year at FDLI the FDA Commissioner gives a state of the union, if you will, reflecting on the past year at the agency. But today, I want to look ahead, and give you an outline of where our focus will be over the coming year when it comes to each of the spheres where we operate. Before I delve into each of our product areas, I want to say a few words about some of the larger issues we’re focused on. Our most pressing challenge is the epidemics of addiction facing this nation, principally to opioid drugs. This is the biggest crisis facing the nation and FDA. We’ll be advancing new steps to rationalize prescribing, as a way to reduce overall exposure to opioids and, therefore, the rate of new addiction. We’ll also take new steps to provide additional safeguards to how opioids are dispensed. And we’ll have much more to say soon on some of the new steps we plan to take to address this crisis. We’ve also been grappling with the issue of drug costs. We want to do our part to make sure that competition works to improve access and support the market based pricing that underwrites the high cost of new, lifesaving innovations. The American biopharmaceutical sector is one of the nation’s great achievements. It’s the product of years of investment in science and research. And we’re committed to maintain the U.S. position as the best place to invest, develop, and commercialize innovative medicines. But for our system to continue to work, innovation has to be balanced with competition and access. Let’s face it. Right now, we don’t have a truly free market when it comes to drug pricing, and in too many cases, that’s driving prices to unaffordable levels for some patients. There’s a range of reasons why drug prices are too high. To take one example, one of the dynamics I’ve talked about before that’s driving higher and higher list prices, is the system of rebates between payers and manufacturers. And so what if we took on this system directly, by having the federal government reexamine the current safe harbor for drug rebates under the Anti-Kickback Statute? Such a step could help restore some semblance of reality to the relationship between list and negotiated prices, and thereby boost affordability and competition. But beyond discounting, a web of rules and restrictions – some implemented as a result of industry lobbying – prevent truly market-based pricing and competition. Sometimes individual companies seek temporary advantage through the policy process only, in the long run, to erode the primary principles of competition. I feel strongly that this is shortsighted. 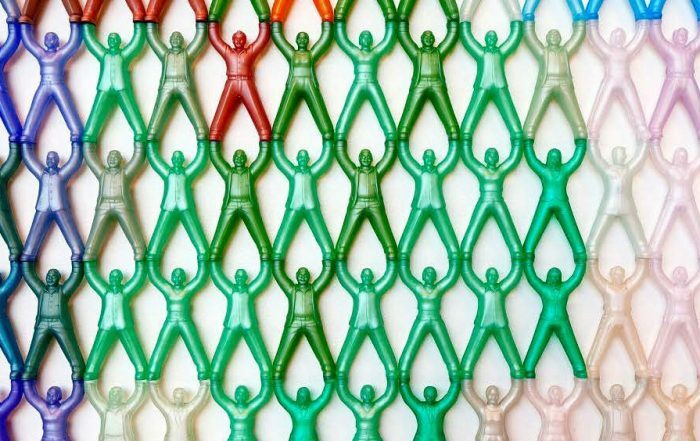 It’s hard to defend the principle of market-based pricing if individual firms seek to use legal and political maneuvering to seek temporary advantage by gumming up the rules in their favor. I can tell you that the framework the Secretary has developed will dismantle many of the provisions that shield parts of the drug industry from more vigorous competition. Part of this plan includes a series of changes to the pricing mechanisms in Part D. Taken together, these changes are a profound modernization of the program. It’ll put us more firmly on a footing to defend the idea that brisk competition should be the vehicle by which we seek to lower drug costs. Similarly, the balance between innovation and access is also the foundation of Hatch-Waxman and the FDA’s generic drug program. This is where FDA’s efforts come into play. Incentives to innovate, such as patents and statutory exclusivities, are balanced against abbreviated pathways for follow-on products that can enter the market once the innovator’s period of lawful monopoly no longer blocks approval. This is true for small molecules and biologics. Last year, nearly 90 percent of all prescriptions in the U.S. were filled with lower cost, generic drugs. Of course, competition isn’t inevitable whenever the patents and statutory exclusivities on a drug are no longer a barrier to approval. And we’ve seen too many cases where competition hasn’t taken hold at all. That’s why last year we launched FDA’s Drug Competition Action Plan. We’re preparing a similar, Biosimilars Action Plan, which we’ll announce in a few weeks. Under DCAP, we’re advancing a wide range of policies to promote and encourage greater generic competition, which can help to improve access and affordability of medicines. To take one part of that plan, we’re building on our successes in improving the efficiency of our generic drug review process. Last year, FDA approved or tentatively approved more than 1,000 generic drug applications, a record for our agency. And we’ve completely eliminated our pre-user fee backlog of generic applications. We’re also publishing guidance to help developers of complex generic products. We’re prioritizing the review of generic applications for products with low competition. These are just some of the new steps we’re taking. But one of the barriers to competition that concerns me the most is when companies “game” the system by taking advantage of certain rules and laws. They exploit loopholes in our system, to delay generic entry. In these ways, they extend a drug’s monopoly beyond what Congress intended. For example, we see this when some branded firms use FDA’s REMS programs to prevent generic developers from accessing their drugs. 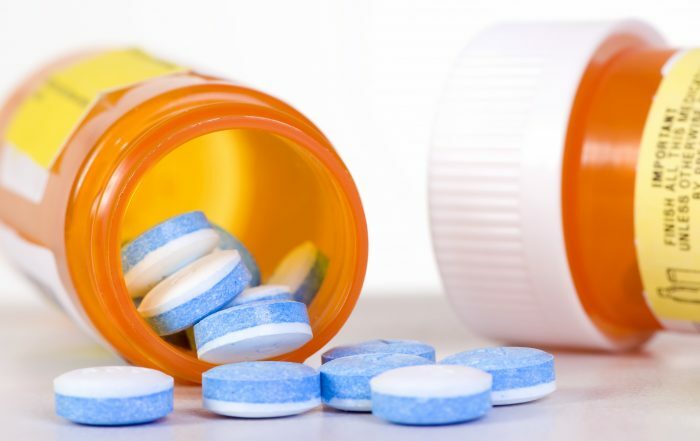 In the process, the branded firms frustrate the ability of generic manufacturers to conduct the comparative tests necessary to win FDA approval of their drugs to enter the market. We’re going to be unveiling some new guidance in the next few weeks, as part of the President’s plan, which addresses some aspects of these loopholes that companies exploit when it comes to REMS. We also see this gaming when firms use the 180 days of exclusivity awarded to certain first generics to block subsequent entrants for extended periods, by not launching their products, and not triggering the 180-day clock. And we see this in certain abuses of the patent system, from improper pay-for-delay arrangements to creative licensing agreements designed to insulate firms from potentially legitimate patent challenges. We see this in other tactics, including perhaps a few of the ideas that some of the lawyers in this room may be developing right now. To those who make a practice of advising clients on how to engage in this sort of regulatory arbitrage, my view is that your client is trading away the long run sustainability of the entire enterprise for very short run advantage and gains. The issue is this: We’re not in the business of making widgets. We’re involved in a healthcare enterprise that hews to a higher calling. Companies draw on that special mission and purpose when they’re recruiting scientists into these endeavors, or advancing morale across their businesses. But we can’t have it both ways. We can’t draw on the virtue of the life science work we do, and expect the public to give the life science complex some special credence because of its noble mission; while at the same time, seeing individual firms behave like this were any other enterprise, and try to subvert politics, policy, and the law for passing advantage. The fact that we all work in the mission of making treatments that improve human health obligates us to a certain set of values, if we want that calling to also insulate these enterprises from some of the political intrusions that could undermine the incentives that are needed to underwrite the enormous investment and risks you all take. We need to hew to a common set of principles if we want people to support these life science enterprises for the long run. When it comes to affirming the special mission of this industry, we need to walk the walk in everything we do. 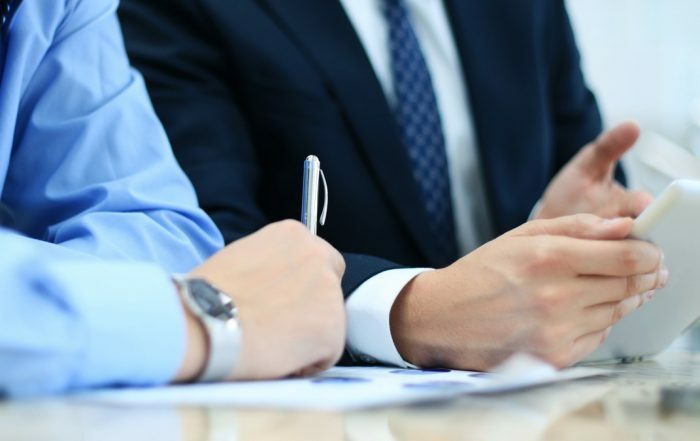 I recognize that as lawyers, you have an obligation to advocate ardently on behalf of your clients’ interests. To put it plainly, we also have a social contract to ensure that our actions are in the interest of public health. This is true whether we’re working in health care delivery, at the helm of a public health agency, or advising on corporate legal strategies that’ll affect patient access to necessary medicines. Having a monopoly over the sale of a vital medical product is also a social contract. It’s easy to focus on short-term strategies to extend the life cycle of a profitable drug by holding competition at bay. And it’s probably more predictable to try and double-down on proven revenue streams when facing uncertainty in the research pipeline. And, to be clear, I’m not saying there’s anything ignoble with taking legal steps to protect valuable IP and to pursue profits that we know help fund investment in risky new research. But there comes a point when reasonable people would say that legitimate actions cross the line into gamesmanship and even, in some cases, unlawful anticompetitive conduct. And when firms play these games, it’s not just competition that suffers. It’s the entire public that suffers including your clients. They suffer reputational harm in a market that’s more aware of the harms caused by the delays to competition, and doesn’t look kindly upon these actions. They suffer the industry-wide, long-term consequences that come from undermining the careful balance between access and innovation struck by Hatch-Waxman and the other laws governing our framework for pharmaceutical development. If these tactics don’t abate, there’s a real risk that Congress and others will come to see our longstanding – and, on balance successful approach to balancing innovation, access, and competition — as a framework that’s no longer sustainable or worth supporting. That’s the risk that comes from an excessive focus on preserving incumbency rather than developing new innovations that’ll advance health, improve people’s lives, and also help grow the industry. I realize most people in these enterprises are here for the right reasons. You’re public health minded, and work hard to deliver innovations that’ll advance human health. The problem is that a few bad apples, that game the system, can tarnish the entire brand of an otherwise principled industry. So, we all need to call out these bad actors, and their tactics, for what they are. And take steps to thwart these strategies. At FDA, we’ve been working hard to modernize our policies to help advance cutting-edge technologies. There are increasing opportunities for firms to develop lifesaving innovation that’ll cure more illness, and for lawyers to help advise FDA and companies on how we can best modernize our policies. I think we’d all agree that this work is far more meaningful in the long run than figuring out how to stave off competition on an old medicine. That’s where my focus is. And it’s where I want to spend the balance of my remarks: On what we’ll be doing to advance these and similar goals. In our Center for Drug Evaluation and Research, we’re focused on modernizing the new drugs regulatory program. This will include a number of steps to adapt to new science and technology, advance our scientific leadership, and integrate and streamline our review process. One goal is to make the development process more efficient and to make it easier to adopt drug development approaches that align more closely to the types of medicines that are being put into development. More of the new drugs we see work to target the mechanisms that give rise to disease. As we get closer to treating the molecular changes that initiate disease, and not just the symptoms of illness, we’re also able to develop medicines that work to alter some of the fundamental biological systems that give rise to disorders. We also know that the body is highly conservative. And so, the same molecular system that drives one disease may be at issue in the development of other ailments. Drug development approaches like master protocols and basket trials make it easier to study drugs across different disease states. And so we’re laying out new guidance on how to adopt these and similar approaches. We’re also going to be adapting our organization to these scientific changes. We’re going to cluster certain review divisions to better reflect current and emerging understanding. And we’re going to take a new approach to documenting our reviews, developing a more integrated document to foster collaboration across disciplines. Our goal is to make drug review even more team based, so that the skills of FDA staff who have expertise in discrete areas like statistics and modeling and simulation and advanced manufacturing can be more easily leveraged when it comes to novel trial designs — and more novel but promising development approaches — are brought to us. We want it to be easier to innovate the way drugs are developed. We also want to reduce the multiple and sometimes redundant memos that get generated as part of a review; and allow our medical and scientific staff to have more time to advance policy in their fields. Our professional staff members are thought leaders in their disciplines. And we want to give them more time to collaborate with academic medical scientists and patients, to analyze scientific and commercial developments, and to strategically foster drug development – for example, by issuing up-to-date, disease-specific guidance. We’re implementing similar reforms when it comes to our medical device program. We’ve recognized that FDA’s traditional approach to medical product regulation isn’t always well suited to emerging technologies like digital health. And if we want FDA, and our country to remain at the forefront of this kind of innovation, FDA itself must be as nimble and innovative as the technologies we’re regulating. To these ends, last summer I announced our Digital Health Innovation Action Plan. The goal was to modernize the FDA’s approach to digital health. It laid out several new initiatives. These include launching the FDA’s digital health software pre-cert pilot program, issuing new guidance to modernize our policies and promote innovation, and increasing the number and expertise of our digital health staff. We’re going to be building on this approach, and seeking to apply it to other areas of new technology that have similar features to digital health — areas where the cycle of innovation is similarly rapid and highly iterative. This includes certain molecular diagnostic tests, and digital health that incorporates features of artificial intelligence. We’re also going to be taking new steps to improve our overall approach to medical device safety as part of our newly released Medical Device Safety Action Plan. We want to focus more of our policy work on supporting product developers who are pursuing safer devices. One way could be through a new program that’s similar to our Breakthrough Device Program. Under this approach, we’d provide greater interactions with developers and grant expedited review to their products where the key advantage is their enhanced safety over existing devices. We also want to make it easier for medical device manufacturers to make comparative safety claims about their products. 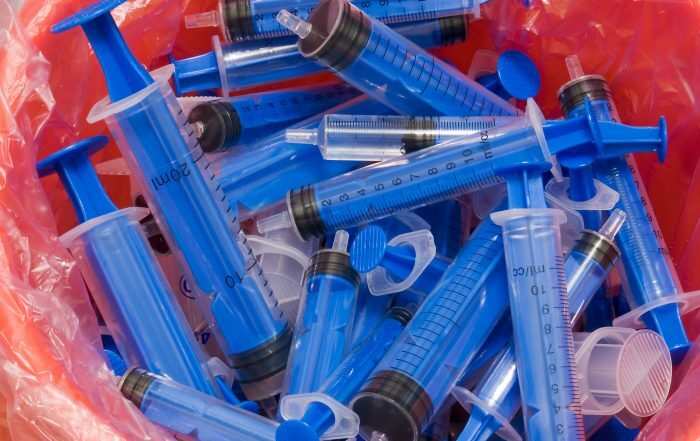 In these ways, we want to stoke more competition around the principle of designing medical devices that might deliver equivalent benefits to currently marketed products, but offer these benefits in a way that has added measures of safety. For situations when FDA has identified new information that impacts the benefit-risk profile, we’re also looking at regulatory options to more efficiently require that companies implement appropriate post-market mitigations steps — such as required user-training or updated labeling. Similar to what we’re doing on our new drug side, we’re also implementing a total product life cycle approach to medical device regulation. The goal is to more closely integrate the pre- and post-market review functions. And to more closely align the cross-disciplinary expertise of our review staff into more integrated, cohesive, and collaborative review teams. We’re seeing many new, more transformative devices. But perhaps in no part of our portfolio do we have as many opportunities to cure intractable disease as when it comes to the products we’re seeing in our Center for Biologics. Last year, we announced a comprehensive policy for the development and oversight of regenerative medicine products, including novel cellular therapies. We plan to take new steps to build on that framework in the coming months, including through additional enforcement actions that target some of the bad actors in this field who have seized on the promise of regenerative medicine to make hollow claims and/or market unsafe products. The bottom line is this: At the same time that we lay out a more efficient framework for how product developers can advance regenerative medicines through a flexible biologic review process; we’re also going to be taking enforcement steps to target those who market dangerous products that aren’t’ supported by credible, science-based evidence. In the coming months, we also intend to further clarify our approach to the regulation of gene therapy. We’re going to provide a comprehensive framework that will include new guidance on manufacturing standards and approaches; as well as clinical guidance that lays out development pathways and potential accelerated approval endpoints for products that target specific disease areas like hemophilia. We’ve reached an inflection point when it comes to gene therapy. The key enabling technology was the advent of more reliable vectors to deliver the target genes. We’re now at a turning point where these treatments have the potential to become a backbone of modern medicine. It’s similar to the inflection point when we first perfected the humanization of antibodies. It was a turning point in the use of antibodies as drugs. In a similar way, the advent of the lentiviral vector is an analogous product innovation that has opened up a huge clinical opportunity. Gene therapies using lentiviral and certain other vectors now hold out the promise of curative treatments for many vexing disorders. Our obligation is to design a framework for the evaluation of these products that enables the efficient advance of these opportunities, while taking steps to ensure their safety. When it comes to gene therapy, often the hard questions aren’t around efficacy. Many of these treatments look like they’ll be highly effective. Efficacy is often established early in the course of development, and in small series of patients. The critical questions don’t necessarily turn on the clinical portion of the review, but on the product related issues. These include the theoretical risks from off target effects, and on the durability of the response. They turn on complex issues associated with manufacturing and gene delivery. A lot of the IP is also embedded in the manufacturing processes. And in some cases, we may be seeing product developers re-engineer these manufacturing processes in ways that may be geared less toward improving the products, and more toward circumventing some of the stacked royalties that exist in this field. Our job is to make sure these manufacturing changes don’t also introduce new risks. So we need to make sure we’re applying proper attention to all of these product-related regulatory issues. In short, some of the hardest regulatory questions may turn less on the clinical evaluation of the technologies and more on the product specific and manufacturing issues that relate to the long run performance of these constructs. This requires us to re-think our regulatory model when it comes to these products, to make sure we’re taking an efficient and science-based approach. Where the critical questions turn on long-term safety and durability, we need adequate policies to evaluate these products post approval. For gene therapies that target serious conditions and offer potentially curative effects, the accelerated approval process may be ideally suited to allowing us to achieve a twin purpose – to expedite market entry while, at the same time, ensuring that we have strong post-market tools to continue to evaluate the safety of these product effects post approval. Some of these same genetic tools are also being applied to animals, for both companion animals and those used for food production. Similar to how we approach these technologies as human drugs, we have certain obligations when it comes to the use of these same approaches in animals. With new innovations such as gene editing, we need to lay out modern principles that allow these opportunities to advance while undergoing proper evaluation for their human and animal safety and environmental impacts. To advance these opportunities, we’ve formed a biotech working group to advance our policy work in this area. We’ll also be issuing new guidance that lays out our comprehensive framework for regulating genetically altered animals used for food as well as for medical purposes like the production of human drugs, organs and tissues for xenotransplantation, control of human disease transmission, or reducing human allergenicity. This includes how we intend to regulate gene editing in animals. Now, I know that there are some who are trying to create what I consider to be a scientifically dubious distinction between performing small alterations to an animal gene such as a single nucleotide alteration through technologies like Cas9; versus larger genetic alterations, where whole genes are spliced in and out of a genome. And they want different policies with respect to how we regulate the same gene editing science when it’s used humans versus animals. One of the arguments being made by some is that single genetic changes happen all the time in nature, as part of common breeding techniques. So why would we regulate the deliberate alteration of single base pair changes using Cas9? Sure, single mutations to base pairs happen spontaneously. But so do larger genetic changes. Are folks saying we shouldn’t regulate gene therapy either? Nature splices and swaps entire genes all the time. Whole arm translocations happen spontaneously. Both big and small generic changes can have big impacts. For example, cystic fibrosis and sickle cell anemia are caused by changes to a single nucleotide. At the FDA, we plan to take a flexible and risk-based approach to how we evaluate genome editing. But groups should be mindful that if they lobby for an exception when it comes to gene editing on the animal drug side of our house, it will inevitably undermine our regulation of these same technologies when it comes to human drugs. And if we create these dubious distinctions, there’s a big risk that we erode confidence in these promising technologies before they have the opportunity to have their full impact on public health. I think the pathway we ultimately construct will be efficient and risk based. We plan an open dialogue around these principles and will solicit broad input. But gene editing done in animals isn’t subject to different laws of nature than when these same tools are applied to people. We’re also seeing significant opportunities when it comes to nutrition, and our ability to use diet as a tool for reducing the burden of death and disability from chronic disease. A lot of our focus is on providing consumers with better information about the healthy attributes of food — to give people a chance to make better choices about their diets. This information also inspires competition among producers and to formulate food in ways that make it more healthful. More Americans are looking for healthier food options. This core principle is at the heart of our recent initiative to expand opportunities to allow food manufacturers to make voluntary claims on food products related to the healthful attributes of their merchandise. We’ll build on these steps in the coming year with new efforts to modernize our approach to standards of identity, new efforts to make the process for evaluating qualified health claims more efficient, and new efforts to redefine certain terms in regulation, like the definition of “healthy.” We also want to offer food producers voluntary ways to make the display of this information more prominent so consumers can make better use of these terms. Food producers should be able to compete on the ability to develop foods that are healthier; and make reliable, science-based claims about these attributes to consumers. We need to make it more efficient to develop claims around the attributes we want food to compete on. Further we know that more clarity may encourage manufacturers to invest in making foods healthier. These same principles underlie our efforts to promote the disclosure of basic information about calories on menus at chain restaurant and similar retail food establishments. This provision goes into effect next week. Whether firms are formulating food to be sold at grocery stores for meals people prepare themselves, or for meals served in restaurants, they should have the same incentives to compete on delivering healthy, affordable, and tasteful options. And food producers should have a level playing field when it comes to disclosing the nutritional content of their product, whether it’s a packaged food or a retail food setting. That means implementing efficient rules to make sure that everyone provides some basic information about the nutritional features of the food they sell. That’s the principle behind the nutrition facts label that consumers see on food sold in stores. Competition depends on transparency, and a level and science-based playing field so consumers can make more informed choices when they buy food or eat out. Now I know not everyone has supported restaurant menu labels. Not every fast food chain or grab-and-go food retailer wants to display calorie information. But consumers want this data and Congress has mandated that it be made available. And the FDA has taken steps to make it easy to provide this information, in cost effective ways that are already found in many establishments. That’s the point of the guidance we’ll soon release. We took the concerns of we heard from some restaurants and similar retail establishments to heart, that it could be costly to display calorie information. So we lay out flexible options for complying with the requirements ranging from low-tech paper menus to electronic kiosks that are becoming commonplace in fast food chains around the country. Moreover, materials that are used for marketing don’t have to have calorie counts on them. That picture of a delicious cheeseburger doesn’t require a calorie declaration. And when it comes to build-your-own foods, like choose your topping pizzas, calorie ranges can be used to make the various combinations fit on a standard-size menu board. We also provide more flexibility when it comes to the calories information that restaurants need to disclose. We know that prepared food can diverge from one pizza slice to the next. So, we allow room for that variability. So you don’t need to worry about that extra piece of pepperoni. In our food program, we’re also taking new steps to improve our overall approach to food safety. Nothing highlights the importance of food safety more than the terrible outbreak of E. coli O157:H7 infections from eating romaine lettuce. This outbreak has caused more than 100 illnesses across the country and one fatality. And it occurred right on the heels of a similar outbreak late last year in Canada and the United States that was also linked to leafy greens. These types of outbreaks are what the Food Safety Modernization Act was designed to prevent. They reinforce the importance of aggressively moving forward with FSMA’s Produce Safety Rule, which only a couple of months ago hit its first compliance date for large farms. We’ve been working hard with our state partners and USDA to engage this year in training the farming community and conducting on farm readiness reviews so that we’re ready to begin inspections next year. I know that some growers have raised concerns about parts of the produce rule, especially those that deal with agricultural water. But I visited with many farmers. I also know that no farmer wants to put their customers at risk. The consequences can be tragic, as we are now seeing with romaine lettuce. It’s also bad for business. Every one of us in this room is a consumer. I think we can all agree that now is the time to move forward to bring FSMA’s anticipated benefits to reality. But no dietary advance, no new medical product, and no new enforcement steps could have the same public health impact as our ability to dramatically lower smoking rates in this country. Smoking remains the leading cause of preventable death and disease. And too many young people are still being initiated on tobacco products, and becoming addicted to nicotine. Increasingly, this is through the use of e-cigarettes. We’ve taken steps to address the morbidity and mortality associated with tobacco through the comprehensive plan that we announced last summer. We’re considering regulating the nicotine levels in combustible cigarettes, to render cigarettes minimally or non-addictive. At the same time, the FDA’s regulation of both novel nicotine delivery products such as e-cigarettes and traditional tobacco products, will encourage the innovation of less harmful products while still ensuring that all tobacco products are put through an appropriate series of regulatory gates to maximize any public health benefits and minimize harms. Nicotine, while not a completely benign substance, isn’t what causes the death and disease associated with tobacco use. It’s the combustion and associated toxins. And it’s the nicotine that keeps smokers coming back to a lifelong addiction to cigarettes. But nicotine exists on a continuum of risk; from the most harmful cigarettes to medicinal products like patches and gums that are so safe they don’t require a doctor’s prescription. We see an opportunity for new technology like electronic nicotine delivery systems to offer adults access to nicotine without all of the same harmful effects of combusting tobacco. This might also include e-cigarettes regulated as over the counter pharmaceutical products. To advance that goal, we’ll soon release a draft guidance that lays out the toxicology testing that an e-cigarette would need to undertake to win approval as an OTC drug product. At the same time we’re also jump-starting new work to re-evaluate and modernize our approach to the development and regulation of safe and effective medicinal nicotine replacement products such as nicotine gums, patches, and lozenges that help smokers quit. This is a pivotal part of our overall public health approach. But access to e-cigarettes can’t come at the expense of a whole generation of youth becoming addicted to nicotine through these electronic products. So, we’re going to be continuing to take an escalating series of actions, including against the companies that market these products in ways that may be deliberately enticing to youth, and the retailers that are selling e-cigarettes to kids. We recently took action to address JUUL. And we’ll be following up with the manufacturer. If we don’t get the information we demanded, or if those documents raise new questions, we’ll explore all of our options, including enforcement actions. We’ll use our authorities forcefully, to target youth use of e-cigarettes. Companies that know children are using their products are on notice. If you target kids, then we’re going to target you. At the same time, we’ll be taking new steps to make combustible products less appealing to kids. One focus of my attention is the characterizing flavors that remain in some combustible tobacco products, including menthol in cigarettes and fruity flavors we increasingly see in cigarillos. FDA didn’t take action on menthol in cigarettes or flavors in cigarillos in the final deeming rule. That opportunity remains before us. The flavors ANPRM we released last month seeks information to inform potential regulatory actions FDA might take with respect to flavors in tobacco products, which include a ban on flavors in combustible products. They entice kids to initiate on cigarettes. Menthol may make it easier to hook young smokers. We have the legal authority, and public health obligation, to address these risks. Finally, the bedrock of our consumer protection mission and the common thread that binds our public health functions is our field force and the enforcement work we do to protect Americans. Thanks to new resources we received as part of the Omnibus, we’re substantially increasing our enforcement footprint in the International Mail Facilities. We’ll be stepping up our interdiction work when it comes to foreign unapproved and counterfeit drugs, as well as controlled substances, that are shipped through the mail. Later this year, we plan to release some new data on the volume of counterfeit and illicit products being shipped in the mail, and the steps we’re taking to stop them. We’ll be seeking additional ways to improve our overall approach to our field activities. As part of the 2019 budget, we’re seeking resources to improve our forensic labs and expand certain inspectional work. Our Office of Regulatory Affairs is the bedrock of our public health enterprise. Supporting ORA’s mission is one of my highest priorities. These are just some highlights of what we’re focused on as we look ahead to 2019. We’ve been active over the past 12 months in advancing policies to promote the FDA’s public health goals. We will maintain the pace of that work. We have many policies and programs we’re in the process of planning that we look forward to sharing soon. We have additional enforcement measures underway. Our success is dependent on the community that supports our endeavors. Many members of that community are here today. So on behalf of the FDA’s professional staff, I want to thank you for the work you do to support our mission. The public health goals we all share animate the work at the FDA. It gives our institution a distinctive spirit. I believe that the FDA is a crown jewel among government enterprises. It’s a unique and singular institution with a critical mission, a distinctively skilled professional staff, and a community of experts who share and support our common purpose. The well-attended breakout session with Dr. Janet Woodcock, Director of FDA’s Center for Drug Evaluation and Research (CDER), featured remarks from Dr. Woodcock followed by a panel discussion on pharmaceutical industry and policy issues. Dr. Woodcock’s remarks highlighted the Center’s ongoing initiatives and priorities, with a strong emphasis on implementing new requirements from recent legislation, along with significant commitments for new guidance and internal modernization efforts within CDER. Dr. Woodcock began by highlighting the Center’s efforts in areas of high public focus that remain priority issues at both CDER and throughout FDA. In addressing the opioid epidemic, Dr. Woodcock indicated that CDER plans to issue guidance on development and review of non-opioid analgesics and medication-assisted addiction treatment therapies. CDER also remains committed to helping lower drug prices by facilitating speedy generic drug approvals, including its implementation efforts for enhanced generic drug development under the FDA Reauthorization Act of 2017. In CDER’s ongoing implementation of DQSA the agency has continued to address compounding issues by releasing guidance and a draft memorandum of understanding with the states, and the Center intends to continue its implementation plan in 2018. CDER has also held public meetings and issued initial guidance for implementation of track and trace requirements. The Center is working on additional guidance regarding serialization and grandfathered product issues as well as regulations on licensing by the end of 2018.
gned with industry in seeking to use digital health data as much as possible. The Center is conducting studies using Sentinel data and is looking for companies to partner with to implement this initiative in future drug reviews. Dr. Woodcock also addressed patient-focused drug development, describing it as potentially the most transformative initiative at work in CDER. 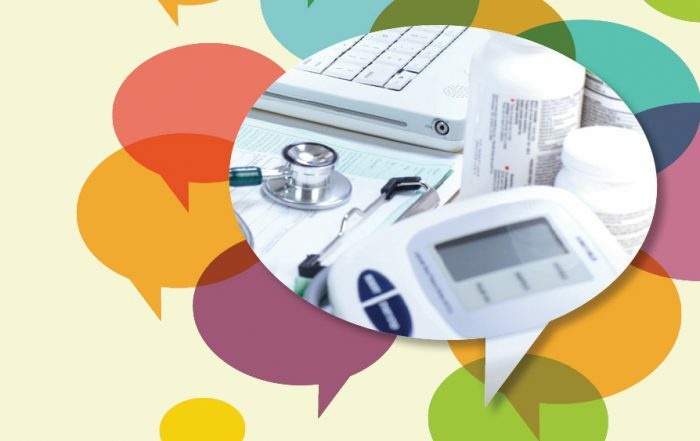 The Center intends to incorporate authentic patient involvement through patient meetings and a series of technical guidance documents for industry on data gathering from patient groups. Dr. Woodcock also addressed the initiative to qualify new drug development tools, including a focus on updating and modernizing the Center’s use of biomarkers and patient-reported outcome measures. She promised new guidance on novel clinical trial methodologies and indicated CDER’s full support of master protocols and adaptive designs. She also highlighted the Center’s plan for central oversight of surrogate endpoints to provide greater consistency and transparency in the accelerated approval process. Rounding out the 21st Century Cures discussion, Dr. Woodcock confirmed the Center’s plans to offer advanced manufacturing grants to small molecule product manufacturers in an effort to enhance quality and cost savings through continuous manufacturing methods. Dr. Woodcock’s additional discussion focused on ongoing efforts to modernize CDER to facilitate better and faster drug approvals. In the area of international harmonization, Dr. Woodcock acknowledged that drug development and clinical trials are now primarily conducted on a multinational scale, and CDER is currently working on uniform global standards with the International Conference on Harmonisation (ICH), as well as mutual recognition agreements with foreign agency counterparts on surveillance inspections. CDER is also undertaking new efforts across the Center for new drug review modernization, including a steering committee to oversee restructuring in the Office of New Drugs (OND) and an ongoing initiative to flatten the organization with increased decision-makers to relieve bottlenecks and speed review times. The nascent OND Office of Policy will play a key role in implementing consistent policies across disease areas. 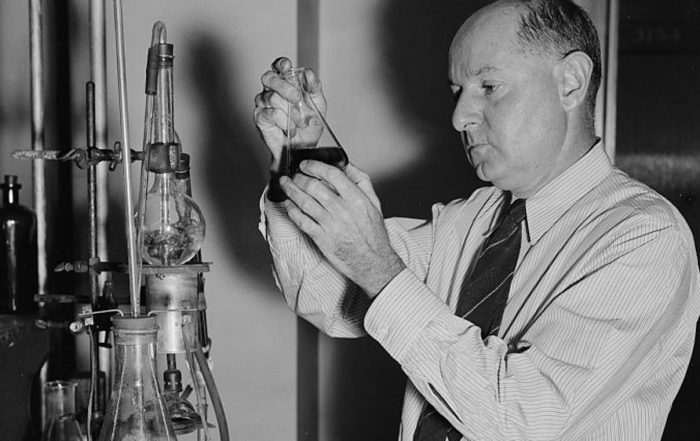 In the area of guidance development, Dr. Woodcock acknowledged that its prior procedures were too cumbersome and promised more concise, bulleted guidance documents that provide key advice to industry on a quicker timeline. CDER plans to release 30-40 guidance documents in 2018 based on revised procedures. CDER is also continuing its efforts to better document and relay its findings in new drug review summaries, including plans to formalize a new “uni-review” template for multiple disciplines in a single document, enhancing clarity and reducing repetition. Finally, Dr. Woodcock highlighted the Center’s ongoing reevaluation of postmarket safety assessments, which she described as a full-scale effort to review the Center’s processes in a stepwise approach and initiate new pilot programs over time. Dr. Woodcock also highlighted the need for modernization of the over-the-counter drug framework to meet the demands of evolving science and indicated her hopes for congressional action in this area. The panel discussion following Dr. Woodcock’s remarks was moderated by Carla Cartwright, Director, Federal Affairs, Johnson & Johnson. During the discussion, Peter Pitts, President, Center for Medicine in the Public Interest, touched on several of the issues Dr. Woodcock addressed to offer suggestions and identify potential pitfalls, emphasizing that the goal of predictability will need to be a collaborative effort between the agency and industry. Frances Zipp, President of Lachman Consultants, focused on key issues facing generic drug manufacturers and encouraged CDER to continue issuing more simple, harmonized guidance documents to facilitate compliance. She also emphasized the need for international harmonization and guidance on continuous manufacturing, both of which could help address drug shortage issues. Daniel Kracov, Partner, Arnold & Porter LLP, highlighted the issue of off-label promotion and recent case law that has raised new constitutional issues for the agency. Mr. Kracov suggested FDA reconsider its historic bright-line rules and consider new mechanisms to voluntarily validate claims that go beyond an approved label. Margaret Anderson, Managing Director, Deloitte Consulting LLP, discussed issues facing CDER in its continual effort to accelerate drug development without sacrificing product integrity, identifying patient-focused drug development in particular as an area where CDER needed to work with industry to identify the return on investment. During the final question-and-answer portion, an audience member asked Dr. Woodcock how CDER would align its increased guidance development efforts with the Administration’s concerns regarding agency use of guidance documents more generally. Dr. Woodcock responded that industry seeks technical, not policy, guidance from FDA, and CDER will continue to meet this industry need. She also emphasized the agency’s rigorous Good Guidance Practices and highlighted their nonbinding status in the broader CDER compliance framework. On May 3, 2018, the Director of FDA’s Center for Biologics Evaluation and Research (CBER), Dr. Peter Marks, participated in a CBER breakout session panel at the FDLI Annual Conference. The session opened with a presentation from Dr. Marks, followed by remarks from co-panelists Dr. Margo Heath-Chiozzi (Senior Vice President, Regulatory Affairs, Celldex Therapeutics, Inc.), Christopher Mikson (Partner, Mayer Brown LLP), and John Murphy (Deputy General Counsel for Healthcare, Biotechnology Innovation Organization). The panel was moderated by Neil DiSpirito (Of Counsel, Ballard Spahr LLP). Dr. Marks provided an update on CBER’s progress in advancing the development of complex biological products, including regenerative medicine therapies. Regenerative therapies, which can include products such as novel tissue products and gene therapies, are often developed for serious or life-threatening conditions with limited patient populations that can present challenges for clinical trial recruitment. A central theme that came across throughout Dr. Marks’ presentation and remarks is CBER’s willingness to employ an individualized and flexible approach to the approval of gene therapies and other regenerative medicines. Dr. Marks stated that CBER is moving away from requiring two randomized controlled trials (RCTs) to more individualized plans where approval can be based on one study, even potentially one small study, provided the data are compelling. Dr. Marks noted that the possibility of approval based on a single study is not new and gave an example of a product that was approved based on one eight-person study. Dr. Marks emphasized that CBER is not changing the approval standards for biological products. Rather, it may be possible to meet the approval standards with less data, particularly if the available data show significant efficacy benefits. While some products will continue to require two RCTs, others may be able to obtain approval on the basis of only one study if the available efficacy data show that the product is safe and that there is significant patient benefit, such as patients who were previously unable to walk gaining mobility. In response to comments and questions from the panelists as well as from session attendees, Dr. Marks also briefly commented on assessing the sameness of gene therapy products. Under FDA’s orphan drug regulations, absent a demonstration of clinical superiority, a gene therapy product that is awarded orphan exclusivity can block the approval of another gene therapy product that is considered the “same drug” for the same orphan indication. Because few gene therapy products have been approved to date, there are questions within the industry as to how FDA’s Office of Orphan Products Development will apply the “same drug” definition in assessing the sameness of two gene therapy products that are intended to treat the same disease or condition. Dr. Marks touched on potential advanced manufacturing solutions on the horizon for challenges faced by sponsors of biological products, including the use of modular manufacturing facilities pre-built for the manufacture of biologics and the application of continuous manufacturing to biologics. Dr. Marks presented as one potential option for facilitating the development of gene therapy products the use of arrangements under which a single entity supplies the same vector to multiple companies developing different gene therapy inserts. Dr. Marks also referenced “alternative” development and manufacturing arrangements conducted pursuant to cooperative development agreements. Described in greater detail in a recent New England Journal of Medicine publication co-authored by Dr. Marks and FDA Commissioner Dr. Scott Gottlieb, such arrangements would allow for the pooling of safety and efficacy data from multiple physician groups or small firms that agree to follow a common manufacturing and clinical trial protocol and would result in the issuance of a separate Biologics License Application to each group or firm. Dr. Marks also provided an update on the Regenerative Medicine Advanced Therapy (RMAT) designation program established by the 21st Century Cures Act. As of April 30, 2018, CBER has received 62 RMAT designation requests. Of those 62 requests, CBER granted 31% (19 requests), of which 16 were for products with orphan drug designations. CBER has denied 47% of the 62 RMAT request applications, 17% are still pending, and 5% have been withdrawn. Most of the RMAT designations have been for cellular or cell-based gene therapy products, and the majority of the granted requests (16 of 19) are for products that were further along in development (Phase 2 or Phase 3) at the time of the request. In closing, Dr. Marks encouraged sponsors of regenerative therapies and other biological products to meet with FDA for feedback on their development programs. Dr. Marks in particular highlighted the availability of a “pre pre-IND program” through which sponsors can meet with the agency even before the product is at the human clinical studies preparation stage. Panelists shared their experiences with receiving “pre pre-IND” advice from CBER, which one panelist stated was helpful for understanding CBER’s expectations for animal testing and vector development. The full panel then provided further input on CDRH’s strategic priorities for 2020 and beyond. Paul Gadiock, Senior Attorney, Arent Fox LLP, moderated the panel, which included Khatereh Calleja, Senior Vice President, Technology and Regulatory Affairs, AdvaMed; Brian A. Dahl, Compliance Practice Lead, E.M.M.A. International Consulting Group, Inc.; and Eric Rogers, Global Head, Regulatory and Development Law, Alcon Laboratories, Inc.
CDRH’s Total Product Lifecycle approach resonated with Panelist Eric Rogers. In particular, Mr. Rogers highlighted the proposed Office of Product Evaluation and Quality (OPEQ) reorganization whereby CDRH is moving away from having staff siloed by regulatory function. Instead, OPEQ is slated to be comprised of interdisciplinary teams responsible for all decisions related to a particular set of technologies, with the goal of streamlining decision making and processes. The new structure would mean stakeholders no longer deal with separate offices for premarket, postmarket surveillance, compliance, enforcement, and quality issues for a single device. Dr. Shuren described “simplicity” as one of the key approaches for CDRH moving forward. CDRH is now continually streamlining its processes to remove unnecessary burdens. Panelist Khatereh Calleja praised CDRH’s commitment to going beyond a least burdensome approach in combination with the Total Product Lifecycle approach. As part of CDRH’s continuous process of improvement it will participate in ongoing collaboration to solve shared problems for shared outcomes. CDRH’s goal is to solve problems with the input of stakeholders, in a way that is useful for stakeholders but within the boundaries of FDA’s mandate of promoting public safety. While CDRH will have a seat at the table, Dr. Shuren indicated that CDRH does not see itself as running the forum. CDRH recognizes that the current regulatory paradigm is not well suited to the trend of digitization occurring across the healthcare continuum. With respect to software, rapid development and iteration timelines present new challenges for the Center. This digitization also provides a wealth of accessible patient use data. CDRH’s reimagined approach to regulating digital health software leverages the technologies themselves, using NEST to incorporate real-world information into the pre-certification pilot. Dr. Shuren commented that if successful, this same approach could be rolled out elsewhere. Panelist Brian Dahl reinforced Dr. Shuren’s comments on addressing the cybersecurity of medical devices as a patient safety concern, particularly where regulatory focus is on the developer rather than the device itself. Mr. Dahl believed FDA should carefully employ the “trust and verify” concept at the core of the program with a heavy dose of verification to keep pace with evolving cyber risks. Dr. Shuren’s presentation highlighted CDRH’s role in international convergence efforts on Software as a Medical Device (SaMD). Ms. Calleja was particularly interested in finding a way to leverage these standards, which are potentially a big value driver. Dr. Shuren acknowledged the shortcomings of international standards for devices to-date. He commented that CDRH will be increasing its interactions with the International Organization for Standardization and the International Electrotechnical Commission to improve global quality and timeliness in the future. Dr. Shuren joked that CDRH is going to become like “Iron Man.” The Center is striving to be a regulator fit for the future. As devices continue to evolve, CDRH must also evolve. Figures showed a 67% reduction of average total time taken to final de novo decision between 2009 and 2016 (an average of 257 days for 2016, down from 770 days in 2009, based on a 94.3% cohort); a greater than 90% reduction of time taken for investigational device exemption approval between 2011 and 2017 (a median of 30 days in 2017, down from 442 days in 2011); a four-fold increase in the number of novel device approvals (95 in 2017, the highest annual number of novel device approvals since 2009) and increasing overall MDUFA III submission volumes . One week prior to FDLI’s 2018 Annual Conference, the Food and Drug Administration’s (FDA) Center for Tobacco Products (CTP) announced enforcement actions against certain e-liquid producers in conjunction with the Federal Trade Commission (FTC) in response to their production and distribution of false and misleading products that resemble kid-friendly foods. These enforcement actions also targeted the JUUL vapor products that have become increasingly popular among teenagers and young adults due to the size of the device and the inconspicuous yield of smoke. On May 3, 2018 Commissioner Gottlieb addressed these enforcement efforts as part of a larger youth prevention plan in his keynote speech. While he spoke about the agency’s intent to regulate tobacco products on a continuum of risk, he stressed that access to Electronic Nicotine Delivery System (ENDS) products cannot come at the expense of addicting a new generation. Mitch Zeller, Director, CTP, also delivered remarks in a breakout session shortly after Commissioner Gottlieb’s keynote that included praise for the Commissioner’s efforts and leadership specifically in the area of tobacco. A panel of stakeholder experts moderated by Dean R. Cirotta, President & COO of EAS Consulting Group, LLC, contributed to the discussion. Panelists included Katherine Ciambrone, Chief Compliance Officer and Senior Vice President, ITG Brands; Stacey Gagosian, Managing Director, Public Policy, Truth Initiative; and J. Benneville (Ben) Hass, Partner, Latham & Watkins LLP. Since July 28, 2017, when the Commissioner announced the initiative to regulate products based on a continuum of risk and a renewed focus on nicotine products, the road for tobacco and nicotine regulation has changed. CTP is assessing products based on their overall impact to the public health and is looking closer at patterns of use, product toxicity, and at-risk populations. In his remarks, Zeller summed up FDA’s vision for addressing nicotine by explaining that “FDA envisions a world where cigarettes would no longer create or sustain addiction and where adults who still need nicotine could get it from alternative and less harmful sources.” To support this goal, Zeller detailed a number of programmatic efforts guided by this vision that are currently unfolding, including the release of regulatory policies on addiction, appeal and cessation, a youth prevention plan, and science-based review of novel products. 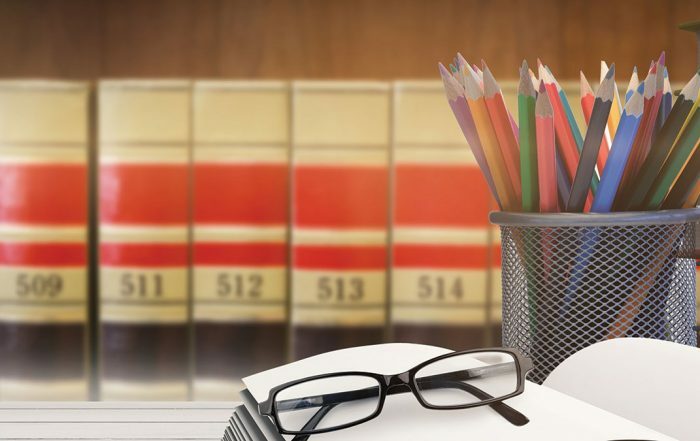 Zeller outlined regulatory policies on addiction, appeal, and cessation that took the form of three Advanced Notices of Proposed Rulemaking (ANPRMs) published in March 2018. 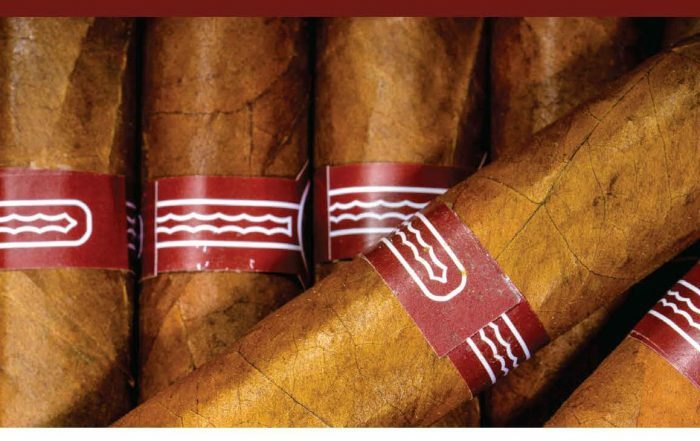 The three ANPRMs focus on cigars, characterizing flavors, and the reduction of nicotine levels in combustible cigarettes, respectively. The agency is currently seeking comments on all three ANPRMs. Zeller also encouraged a national nicotine dialogue to discuss the “core of the problem” and educate the public on nicotine’s role as it is delivered by products on the continuum of risk to adult smokers, youth, and other vulnerable populations. This dialogue also needs to address the fact that nicotine is an addictive substance, not a cancer-causing agent. In the weeks prior to FDLI’s Annual Conference, CTP announced a new focus on reducing adolescent use of tobacco and ENDS products, specifically JUUL’s products, as part of the comprehensive youth prevention plan. FDA conducted a “nationwide blitz” on brick and mortar and online retailers for illegal sales to youth and sent a 904B Letter to JUUL requiring them to disclose product marketing research on health toxicology, behavioral, and physiological effects of the product. Since the beginning of March 2018, the agency has issued 40 Warning Letters to retailers for unlawful sales of JUUL products. As mentioned above, the agency also targeted e-liquid products with labeling and advertising resembling that of popular candy or juice products. Zeller echoed Commissioner Gottlieb’s remarks from earlier in the conference and reported that on May 1, 2018 the agency issued 13 Warning Letters to manufacturers of such products in a joint effort with the FTC for unfair or deceptive advertising. Companies that received Warning Letters have 15 business days to respond to CTP with a plan to remedy the products. Finally, “The Real Cost” educational campaign and similar campaigns continue to target youth and young adults. New printed campaign materials were mailed to over 350,000 retailers to assist with educational efforts. The third area of focus is the regulatory authority over tobacco products. In Commissioner Gottlieb’s July 28th address, Gottlieb not only outlined a risk-based approach to regulation, but he also announced the delay of specific deadlines for premarket approval. In his July 2017 announcement, Gottlieb stated that FDA was planning to issue product standards, rules for pathway submissions and a final guidance on Premarket Tobacco Applications (PMTAs) for ENDS products. At the FDLI Annual Conference, Zeller noted that guidance for PMTAs for ENDS products was forthcoming. He also spoke briefly about the recent product applications from Phillip Morris International for IQOS heat-not-burn products and their Tobacco Products Scientific Advisory Committee (TPSAC) meeting earlier this year. 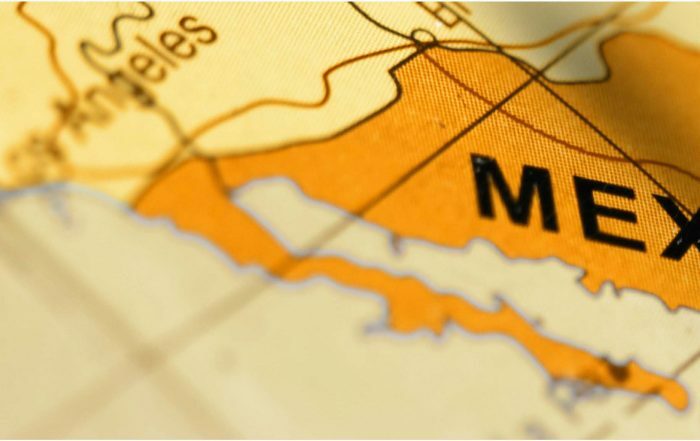 Another TPSAC meeting is on the horizon since Reynolds America now has a pending Modified Risk Tobacco Product (MRTP) application for snus products. A date for their TPSAC meeting has not yet been announced. Overall, Zeller stated that the agency is focusing on assessing the overall impact of tobacco products to the public health and will continue to look at patterns of use, product toxicity, and the consumers of those products. While Zeller stated there is no formula for how much the agency will weigh youth initiation in their review of a product, he reiterated FDA’s commitment to dialogue. 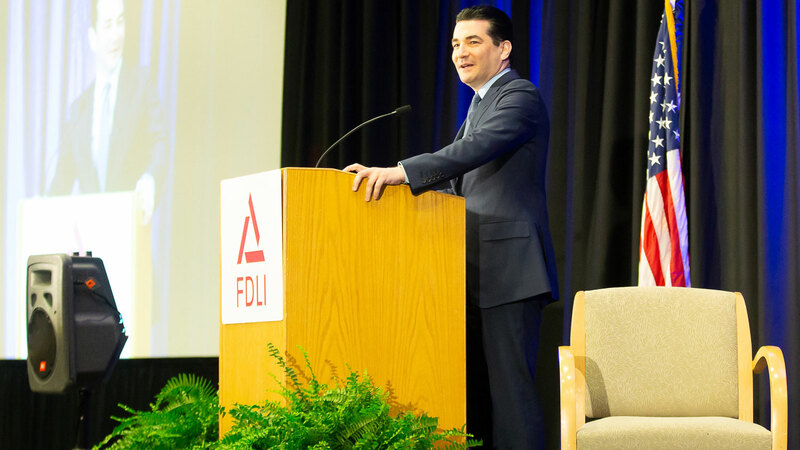 He ended his remarks by reiterating that FDA is committed to dispel inaccuracies surrounding nicotine and promised more information on FDA’s efforts to educate the public on perceptions of nicotine in the near future. “Health lies at the intersection of food safety and nutrition.” With this statement, Susan T. Mayne, Ph.D., Director of the Center for Food Safety and Applied Nutrition (CFSAN), opened the CFSAN breakout session at FDLI’s Annual Conference. Dr. Mayne’s presentation highlighted recent CFSAN accomplishments and key initiatives of the 2018 Strategic Policy Roadmap, with focus on food safety and nutrition. 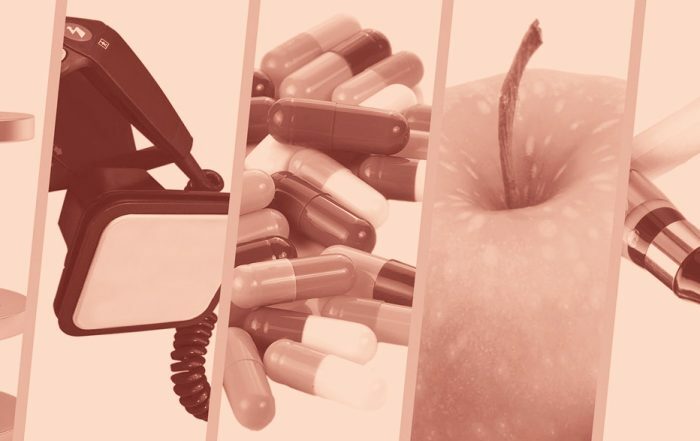 Since the passage of the Food Safety Modernization Act of 2011 (FSMA), FDA has published almost 50 guidance documents to aid industry compliance. In light of recent food safety issues, Dr. Mayne addressed FDA’s proposed rulemaking to extend compliance dates for the 2015 Produce Safety Rule. The extension was proposed in response to feedback from growers, and would apply to all covered produce, except sprouts. Because produce is a higher risk commodity, a delayed compliance date will ensure producers meet the requisite food safety standards. In addition, FDA built the Produce Safety Network (PSN) to support the efforts of farmers, regulators, and other stakeholders. Dr. Mayne described how the PSN helps regional produce experts provide outreach, education, and technical assistance relevant to their region. FDA’s Whole Genome Sequencing (WGS) was another focus point for Dr. Mayne and is one example of FDA’s commitment to innovation. WGS is a cutting-edge technology that FDA uses to protect consumers from foodborne illness. The number of sequences in the database continues to increase, with the current count nearing 200,000. As the database grows, FDA’s ability to identify an outbreak source will gain speed and accuracy. Dr. Mayne discussed FDA’s initiatives aimed at giving consumers adequate nutrition information, including menu labeling and Nutrition Facts Panel updates. Dr. Mayne’s presentation was on May 3, the same day FDA confirmed the compliance extension for Nutrition Facts and Supplement Facts Label and Serving Size Rules. Compliance for both is now January 1, 2020 for manufacturers with $10 million or more in annual food sales and January 1, 2021 for manufacturers with less than $10 million in annual food sales. Dr. Mayne noted many manufacturers have begun using the new NFP format, but additional time is needed considering other FDA endeavors, like coordination with the U.S. Department of Agriculture (USDA) on the labeling of bioengineered (BE) foods. As an indication of that coordination, on May 4, 2018, USDA published its BE Food Disclosure proposed rule, with the same January 1, 2020 compliance date. The session touched on the recent dietary fiber guidance, defining “healthy,” and FDA’s “ban” on PHOs. Dr. Mayne emphasized the changed fiber definition: fibers must have a beneficial physiological effect on human health. Manufacturers submitted citizen petitions to add to FDA’s definition, however FDA has not yet made determinations. Dr. Mayne stated petition review is a top agency priority. As for a revised “healthy” definition, Dr. Mayne acknowledged the definition is important to stakeholders and is in the works. Dr. Mayne provided some insight on FDA’s thinking on PHOs—come the June 18, 2018 compliance date. FDA will not require recalls of PHO-containing products and will provide further written clarification. The second half of the breakout featured a discussion by experts Sandra B. Eskin of The Pew Charitable Trusts and Meredith Olearchik of Campbell Soup Company, moderated by Martin Hahn of Hogan Lovells LLP. Ms. Olearchik began the discussion by applauding FDA and USDA for their recent coordinated efforts, which especially impact dual jurisdiction companies, like Campbell. Ms. Olearchik urged FDA to provide greater clarity on dietary fiber and the future of the pending petitions. Fiber can greatly impact company portfolios, so it is imperative FDA approaches the fiber petitions through a scientific lens. Ms. Eskin emphasized the importance of traceability: to prevent outbreaks, the source of the problem must be identified. 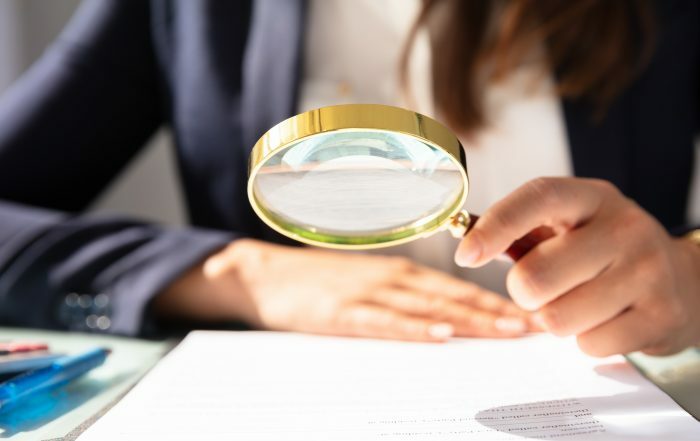 Despite complimenting FSMA implementation, Ms. Eskin argued that names and addresses of companies selling recalled product should always be released. Such disclosure is imperative in aiding traceability, maintaining accountability, and informing consumers. The breakout concluded with the panel’s list of short-term priorities for FDA: clarity on dietary fiber, enhanced traceability to solve and prevent foodborne outbreaks, and the publication of several food safety and nutrition guidance documents. The Center for Veterinary Medicine (CVM) breakout session provided participants and attendees with an insightful update regarding CVM’s recent undertakings, as well as a forward- looking preview outlining its short- and long-term focus points. Director Steven Solomon, D.V.M., M.P.H, delivered introductory remarks detailing the Center’s recent actions and accomplishments since he was appointed in January 2017. His remarks were followed by those of Jesse Sevcik, the Senior Director of Global Government Affairs for Elanco Animal Health, and Peter Tabor, Vice President of Regulatory and International Affairs, Pet Food Institute (PFI). Madeleine McDonough, Chair of Shook, Hardy & Bacon LLP, asked the panelists several questions about recent trends following their introductory remarks. Below I detail a few topics covered at the breakout session. predictability of drug application reviews. Dr. Solomon reiterated how the programs have benefitted industry. According to him, CVM’s focus is to encourage innovation by ensuring that these programs are well-funded and efficient to facilitate getting animal drugs safely but efficiently to market. Notably, Mr. Sevcik agreed and provided industry’s viewpoint on these particular issues, including that the U.S. is on the forefront of animal health developments due, in part, to ADUFA and AGDUFA. Before these programs (and enhancements to the same over the years), the timelines for animal drug approvals were twice as long, and it was hard for industry to get feedback from or engagement with CVM. The net effect of this prolonged process was that the ultimate products brought to market were not necessarily innovative or novel because getting approval was simply too difficult. Because of ADUFA and AGDUFA, Mr. Sevcik relayed that industry research and development resources directed towards the formulation of new drugs has increased because companies have confidence that they can work with CVM to identify innovative products, bring novel candidates forward, and ultimately work with CVM to get approval. From Mr. Sevcik’s perspective, Dr. Solomon and CVM’s openness and transparency about both ADUFA and AGDUFA have further played a positive role in this outcome. In particular, Mr. Sevcik credits CVM’s presubmission and feedback process because it allows industry to get early feedback and implement it into the clinical development process. Mr. Tabor also reiterated that he encourages his clients to engage with FDA because the result is generally productive dialogue. That said, both panelists encouraged CVM to keep looking to improve ADUFA and AGDUFA with the goal of encouraging and incentivizing companies to continue to engage in identifying new products and bringing them to market. FDA’s authorization to collect fees under both programs is set to expire in September 2018. All in all, Dr. Solomon, who detailed a few notable changes in proposed ADUFA IV and AGDUFA III provisions, believes that both programs will be reauthorized because the history of CVM and industry, as well as the success of user fees, is largely positive. Biotechnology and regulation of the same were also discussed both in introductory comments and further in response to a panel question by Ms. McDonough. Dr. Solomon noted that technology continues to advance in this area, specifically mentioning gene editing techniques like CRISPR. CVM’s approach to regulation will focus on potential positive uses or outcomes for biotechnology, as well as potential issues and effective regulation using a risk-based approach. Dr. Solomon broadly discussed CVM’s risk-based approach, and—in response to questions—noted the difference, from his viewpoint, between using gene-editing technology for academic versus commercial purposes, particularly if a person or group uses the technology irresponsibly. Dr. Solomon expressed his hope that scientists and academics will continue to work in this area for purposes other than financial gain. Conversely, if people or companies are utilizing gene-editing technology for commercial gain, the public needs regulatory assurance that the animal or ultimate end product has been reviewed and deemed safe for its intended purpose. Not surprisingly, another hot topic at the CVM breakout was FSMA implementation and progress. Dr. Solomon views concurrent FSMA requirements and changes in the pet food industry as presenting “unique” opportunities. After walking through a FSMA compliance timeline, Dr. Solomon briefly discussed that FDA is already doing GMP inspections (for which guidance has been issued) but has postponed preventative control inspections (for which draft guidance has been issued) until September 2018. On the same note, Mr. Tabor, who noted that PFI was heavily involved in the FSMA rulemaking process—a process he viewed as a thoughtful approach to stakeholder input—suggested that, from PFI’s perspective, guidance from FDA is critical, even in draft form. The biggest challenge for both FDA and industry is having clear expectations on both sides, whether on policy issues or field operations. Mr. Tabor also suggested that training for field inspectors continues to be another critical enforcement factor. On that front, Dr. Solomon reiterated CVM’s commitment to stakeholder outreach, especially as to FSMA implementation, CVM’s education and communications activities, and industry’s generally positive view of CVM. Going forward, the panelists identified several key areas to watch in addition to those discussed above. For example, both Dr. Solomon and Mr. Tabor focused on the process for getting animal feed ingredients, including ingredients for pet food, approved. Dr. Solomon noted there had been a 300% increase in GRAS notices, as well as a significant increase in food additive petitions. Indeed, Mr. Tabor agreed that having ingredients considered and approved continues to take more time than industry would like. Dr. Solomon reiterated that FDA intends to apply ingredient rules uniformly across the pet food industry. Dr. Solomon further noted that pet food safety has been challenging, and he expects that CVM will continue to see such challenges, specifically noting recent reported raw food incidents. Finally, the panelists discussed the reality that humans and animals, as well as their respective food supplies, may be susceptible to a pandemic. Dr. Solomon relayed the story of the 2003 monkeypox outbreak in the U.S. that was caused by a shipment of rodents from Ghana. He reiterated that this outbreak could have become a pandemic, and that the risk or potential for risk for a pandemic still exists today. Dr. Solomon assured the attendees that CVM spends a lot of time considering these scenarios and identifying solutions, in addition to its other important work.